We offer many classes for intermediate experienced quilters, as well as a beginner sewing classes and a variety of individual workshops. 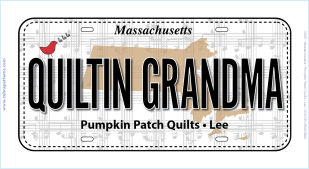 Pumpkin Patch has moved from our Center Street location and onto beautiful Main Street in Lee Mass. Fat Quarter - Buy 2, Get 1 FREE! Fabric, Batting, Thread, Sewing Scissors, Needles, etc.